We receive questions on hormone testing every day! We have clients who ask if we are able to perform these types of tests for them. Many share reports stating their test results and ask us to interpret them. We are thankful you trust us enough to want to work with us by sharing your hormone test results; however, we are not licensed to perform or interpret fertility hormone test results. 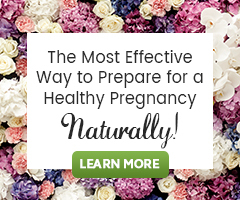 Our area of expertise is educating you about and sharing the proper use of natural therapies for fertility. Still, because the demand and interest are so great, we will try to guide you in the right direction to get the support you need. 1. If you’ve recently had a fertility hormone panel, it’s important to reach out to your healthcare provider to explain the results to you. Be patient if you have to wait for the office visit so your results can be interpreted. We know waiting can be hard! Your healthcare provider is best qualified to analyze what’s going on. If after learning more about your results, you would like input on our natural programs, we are happy to work with you! The best way to receive a full plan designed specifically for your fertility health needs is to book a Fertility Consultation. 2. If you have not had a fertility hormone panel and are addressing a fertility challenge, it’s a good idea to start by having your hormones tested. Being armed with more information about your hormones can help you to better understand and address your concerns. We recommend working with a reproductive endocrinologist or fertility testing specialist to get started. What Hormones Should You Test? Your personal hormone status is unique and requires special attention, so work with your chosen professional to determine what tests you may most benefit from. A typical fertility hormone panel includes AMH Levels, FSH, LH, DHEA, TSH, Cortisol, Progesterone, Prolactin, Estradiol and more! Our personal view is that if your test provider is unable to provide support or guide you through your results, you may be better off working with someone else. Interpreting your tests incorrectly by yourself can lead to unnecessary stress or treatments. Hormones are tricky to understand and work with. It’s important to have a trusted professional to encourage and guide you along the path! Your doctor or chosen professional will help you determine the best days of your cycle to have testing. The best approach will depend on your personal circumstances and the specific protocols of your doctor and laboratory. The following are just sample hormone reference ranges for review for blood serum hormone tests. There are many other types of tests and measurements that are used and not included here. Reminder: We feel it is best not to take any herbs that have an influence on hormones in the same cycle hormone testing is performed. LH (Luteinizing Hormone): 5-20 mlU/ml – Normal reference range for menstruating women in the follicular phase. Note 1: Typically, the levels of LH and FSH in the blood are similar. In women with polycystic ovaries, however, the LH to FSH ratio is often higher – for example, 2:1, or even 3:1. Note 2: LH naturally increases around 24 hours before ovulation occurs, and then decreases back to normal. Prolactin: 2-29 ng/ml- Normal reference range for a non-pregnant woman. Low levels suggest pituitary gland issues. High levels suggest hyperprolactinemia. Please remember hormones are checked at various times in the cycle with different results. Further, your hormone test results can be affected by stress, illness, nutritional deficiencies, medications, lack of ovulation or menstruation, or pregnancy. Review your results with help from your lab or doctor carefully. Ask questions if you’re unsure or need clarification. Please keep in mind that no one test can show the entire picture of your fertility health. Hormones work together, have natural fluctuations and are influenced by many factors. Stay informed on your levels, but pay attention to how you feel. Your symptoms and menstrual cycle also provide extremely valuable information on your hormonal health and fertility. Finally, no matter where your hormone levels may fall, your diet and lifestyle are vital to encouraging hormone balance and natural fertility. This is a unique set of information. Hormone imbalances really cause very dangerous effects on our body. Hormone testing helps us Understanding the imbalances of our body. It’s not an error. Measurements can be reported in mIU/mL, or IU/L, something defined by the National Institutes of Health U.S. National Library of Medicine. Different labs may use different measurements, so do talk to your doctor about the meaning of your specific test result(s).